Imagine being able to wear any color you want and yet this pendant will pick up that color. 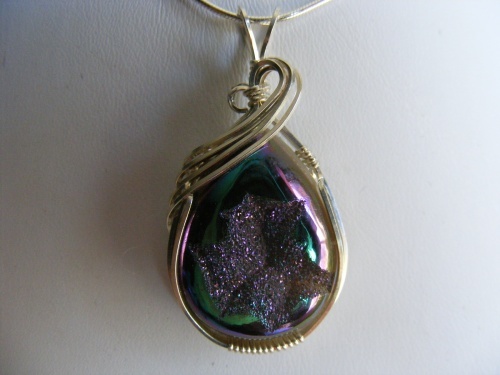 This druzy is truly amazing with all the sparkle it projects. Sculpted in beautiful sterling silver swirls, it measures 1 3/4" long and 3/4" wide. Comes with a sterling silver snake chain.